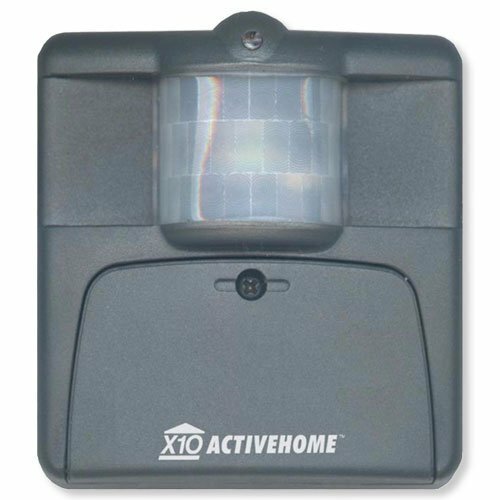 With the small, sleek and powerful ActiveEye Motion Sensor, you no longer have to leave your lights on all night to ensure your guests have a safe walk up to your door and discourage potential intruders from sneaking up to a darkened home when you are away. The weather-resistant ActiveEye Motion Sensor wirelessly signals X10 lights to switch on the instant someone sets foot onto your property keeping your home safe and secure while offering a welcoming light to your guests. The built-in, customizable photocell detects when it's dark so it can save energy by turning lights on only when it detects motion in the dark or you can set it to transmit every time it sees motion, even if it's not dark.